Help anyway you can in getting the demo done. James thinks the demo can be done by Sunday. This is an excellent surge in progress. Stay in touch, and a reminder to keep thinking of a new ways to innovate. 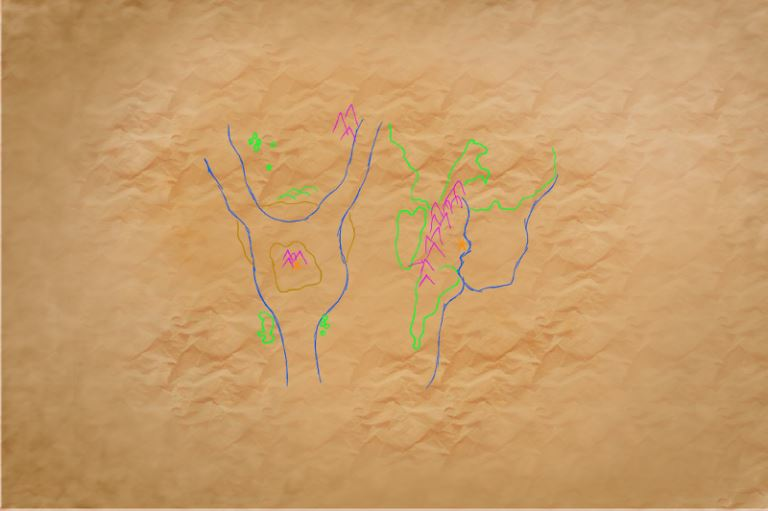 Worked on tentative background paper texture and color coded rough sketch of map and map placement on gimp. Will most likely revise on paper and come back to gimp later. 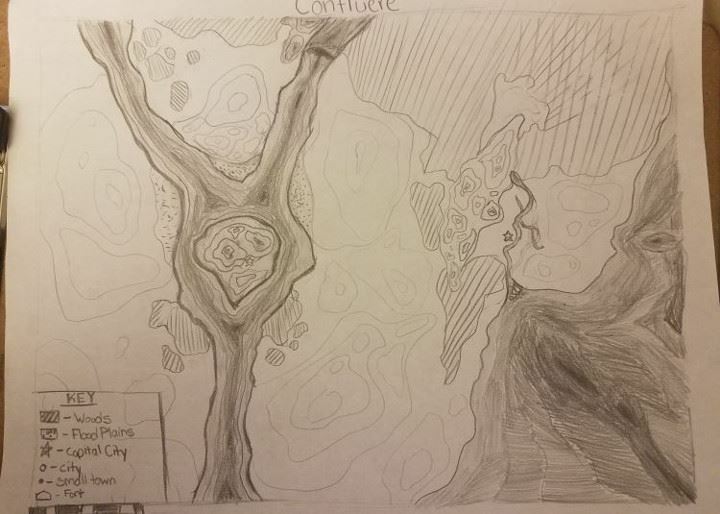 The asset uploader was being funky for me so i just copy pasted it hopefully it worked correctly once i post this but i went back with pencil on printer paper and drew a sort of topography map(for water, hills and mountains) and marked out the forest areas with stripes and an example key(to be added onto and changed later when we get roads and other towns placed) but mainly for a placeholder right now because my plan is to distress and fold this paper till i get the look im envisioning then I'm going to scan it in and see how it looks and go over it on gimp with the ink tool to make it look more printed rather than pencil and use the previous texture to add more crinkles where need be and maybe a few stains here and there.